Rest in peace sales funnel. You had a good run. Sales and marketing frameworks can be useful, and there is no more commonly used framework than the traditional “sales funnel” that we all know and love. You know, the diagram where customers come into the top of the funnel, then good sales and marketing people gradually move them down until they are ready to buy. Wouldn’t it be nice if it really worked that way? It would certainly make our jobs a lot easier. But the reality is that there is no funnel. Sure, there’s always a beginning and an end to a customer-purchase process. Customers do eventually come out at the bottom of the “funnel.” But what they do during that journey can vary dramatically by industry, by company, by function and by individual. I’ll give you an example: Back when I worked at AutoTrader.com, we studied car-shopping behavior. Conventional wisdom said that shoppers would start their process considering a number of cars that could meet their needs. As they got closer to a purchase, they would narrow that down to fewer and fewer cars until they settled on the one they want. Makes total sense, right? Well, when we did the research, we found that car shoppers would actually increase the number of cars they were considering as they got closer to a purchase. How could that be? It defies the traditional idea of the sales funnel—going back up the funnel rather than being pulled down by the force of gravity. So if there’s no funnel, how do we think about the customer journey? What framework could replace the funnel? 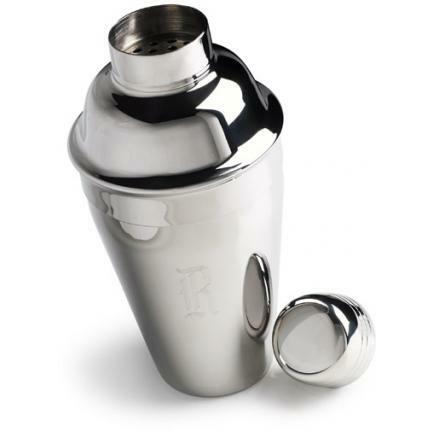 I have a suggestion: a cocktail shaker. I did a quick analysis of the business that my sales team at my current company, PGi, has won in the past 90 days to see if I could find a clear pattern. There wasn’t one. Some customers call and buy the same day. Others take six to eight weeks before they buy. Some larger customers buy just a single license, and smaller customers may buy multiple licenses. There’s just no clear rhyme or reason to it. My conclusion is that every individual brings their own style and sensibility to the purchase process. Some are overly cautious; others just go with their gut. Some need a lot of information; some need just a little. That’s why I think the sales funnel may be more like a cocktail shaker. Customers gets dumped in, swirled around in information for a period of time and then get poured out. For marketers, this creates a challenge because there’s no clear formula that will transform a prospect into a buyer while they are in the shaker. Think of your website as your virtual sales rep. Studies show that buyers are about 70% through the purchase process before they even engage a sales rep. What are they doing that 70% of the time when they’re not talking to a rep? They are spending it doing research online. Make sure your website has a wide array of content that will appeal to all different kinds of buyers at all different stages of the process. A customer who is just starting the shopping process may want pricing information. A shopper close to purchase may want thought-leadership content. Every buyer is different and will select the content that’s most important to them. Your job is to make it all available and easy to find on your site. Be responsive. When a prospect in the cocktail shaker does raise their hand, make the most of it. Respond as quickly as possible to any sales inquiry. My sales team has the best hit rate when they are able to get in touch with a customer within an hour of the initial lead coming in. It’s critical not to let leads get stale. Let’s drink a toast to the good old sales funnel. Funnel, you had a good run, but it’s time for a new framework. While the cocktail shaker may not be as simple, it’s more realistic. And of course, no article about cocktail shakers would be complete without a little clip from the classic 80s Tom Cruise movie, Cocktail. Enjoy! ← Omnicom and Publicis: Is Bigger Better?